Anna shows Liesl a live feed of a sick Britt. She and Finn try to convince Liesl to go back to Port Charles to help cure her daughter. Liesl wonders why Finn doesn&apos;t create a cure, but he doesn&apos;t have time. Liesl insists she test the vial of blood first. Jason warns Margaux to stay away from Drew because of what he&apos;s dealing with. But, Margaux knows nothing about it. Drew and Kim find Daisy meditating with Oscar, which does not sit well with Kim. After Daisy leaves, Oscar agrees that it was the right choice to do the trial. Drew heads out to get them food. Kim tells Oscar that she needs to apologize. The two hash it out and hug. Margaux runs into Drew and pushes for answers. Drew tells her about Oscar, then brushes her off. Margaux catches up to Drew, apologizes, and gives him the flash drive. Alexis checks in with Kristina, who mentions she&apos;s been volunteering in the community with her new friends. Daisy shows up and praises Kristina’s charms. Sam finds out the other subscription to the newspaper is being delivered to Yvonne at Turning Woods facility. Mike brings flowers for his new friend Yvonne at Turning Woods. He is surprised when her husband Marcus shows up. Sonny wants to take Mike home, but Stella feels he should stay for the day. At the facility, Curtis runs into Stella and meets Marcus. Sam talks to Yvonne and shows her the obituary. Yvonne claims she doesn&apos;t remember. Later, Daisy takes the newspaper Yvonne had. Alexis tells Jason that Oscar wants him to be the executor of his will. 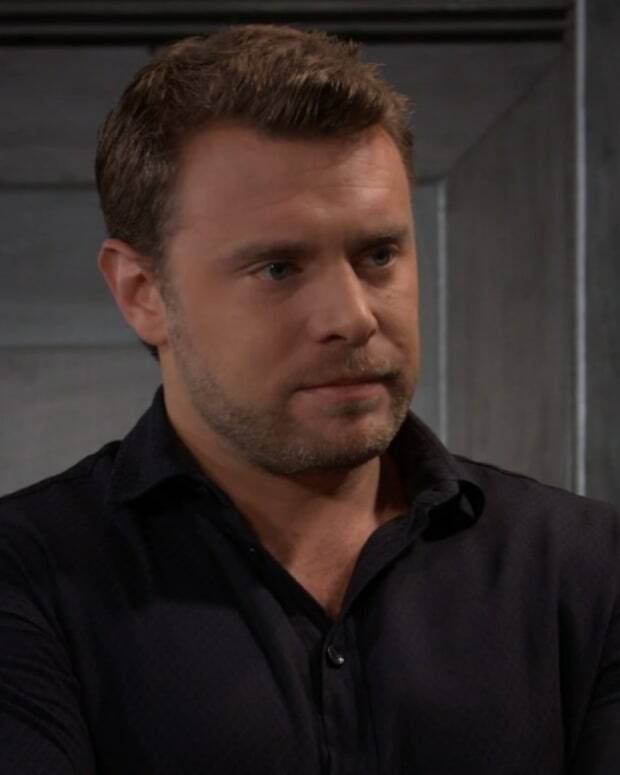 Jason says Oscar&apos;s a kid with no possessions, but Alexis mentions that Oscar, as a Quartermaine, holds stock in ELQ. Liesl returns saying she checked out the blood sample, but she doesn&apos;t need to return to PC to cure her. Liesl says she can create a cure and they can bring it back to Britt. Finn says he won&apos;t give Britt the cure unless Liesl goes with them. Marcus shows up at Casa Corinthos. He warns Sonny to get Mike to back off from Yvonne.